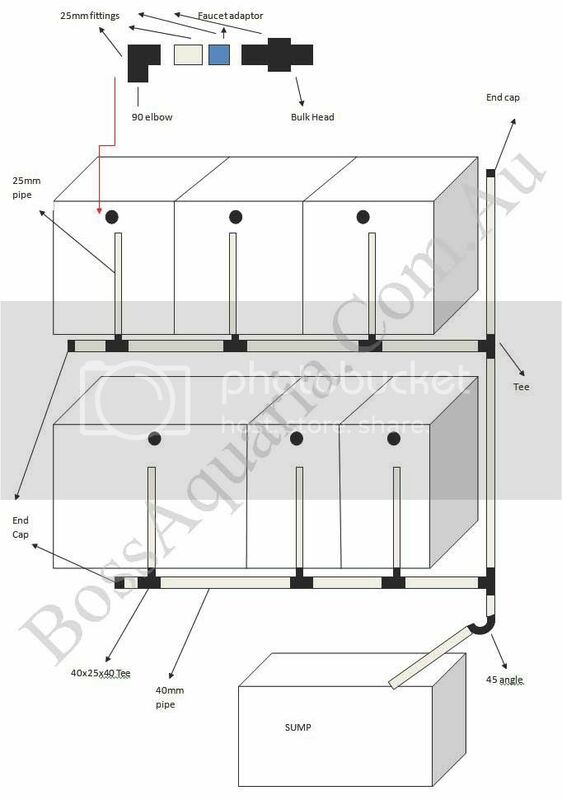 After many many many many PM/Email/SMS/calls etc etc all asking similar questions about building and plumbing rack systems for shrimp, so when a friend asked me a few weeks back i decided to draw up a blue print Guideline to save me trying to explain everything over and over. So With these simple drawings you can understand the most basic way of plumbing up a system. tanks in my various systems now. You can modify any of the fittings and pipe to suit the size of your system but the lay out is tried and proven and works perfect. So i will start with the Over Flow (water going from tanks to sump). 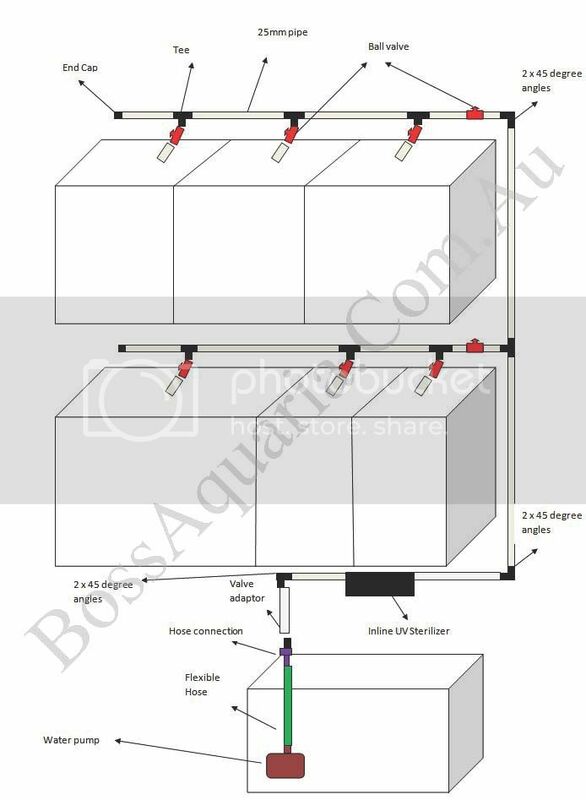 In the picture below you will see on the notes that i use 40mm pipe everywhere except the upstands (pipe going to bulkheads) this is to allow for the larger volume of water that passes though this pipe as its draining from every tank. The pipe that runs up the outside beside the tank with an end cap needs to have a hole drilled in the top (5mm). This pipe's purpose is as a noise reduction, if you dont have this you will get more noise in the pipes from the water. For the return plumbing the pipe size is all the same, as a rule i always use the same size return pipe as the upstands used on overflow pipes. the only important thing to remember about this part of the plumbing is to make sure your corners use 2x 45 elbows to make the corner turn. If you use a 90 elbow it restricts the flow a little and makes the pump work harder than it needs to.